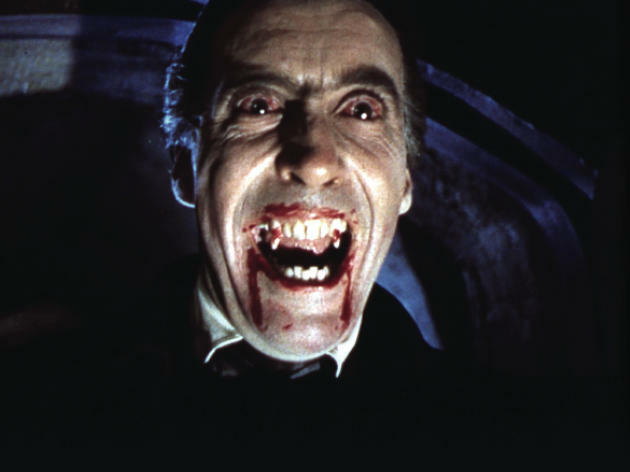 Digitally restored by the BFI to mark the fiftieth anniversary of Hammer Horror, this creepy period yarn has retained much of its bite. A tripartite narrative focuses on the death of amateur vampire hunter Jonathan Harker (John Van Eyssen) and the subsequent ripples of terror that engulf the family of his girlfriend and one Doctor Van Helsing (Peter Cushing). Fun anachronisms abound, from the optimistic belief that the Berkshire countryside plus an overzealous smoke-machine equal rural Transylvania, to Van Helsing’s worrying assurance that the best way to recover from a blood transfusion is to consume plenty of ‘tea, coffee or even better…wine’. One shouldn’t be brutal about a film of such noble intent, but as ‘horror’ it doesn’t have the honest-to-goodness scares that modern audiences expect. 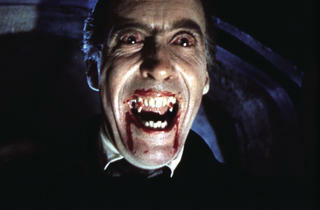 Still, Christopher Lee’s Dracula is a menacing and complex presence who never lets his fangs and cape dominate. There’s also the canny use of vampirism as an allegory for drug abuse and sexually transmitted disease: is this the camp forerunner to Abel Ferrara’s ‘The Addiction’? One can only wonder at the reaction of late 1950's cinema goers to this, the second of Hammer Films 'gothic horrors' to be made in colour. A taut script, stripped down to meet the small budgets demanded by Hammer, the production design and fluid camerawork, together with great performances by Peter Cushing as the vampire hunter, Van Helsing and Christopher Lee as Dracula, make this a classic of British horror cinema. Excellent film, the old ones are the best!